A Bengal Tiger was parked at the Sunday Basalt Farmers’ Market and I stared and drooled. I am not setting my sights on this. It is too much money, too many electronic things to go wrong, too big, too too. But what fine 4wd luxury! Wouldn’t you drive this into boondocking heaven? 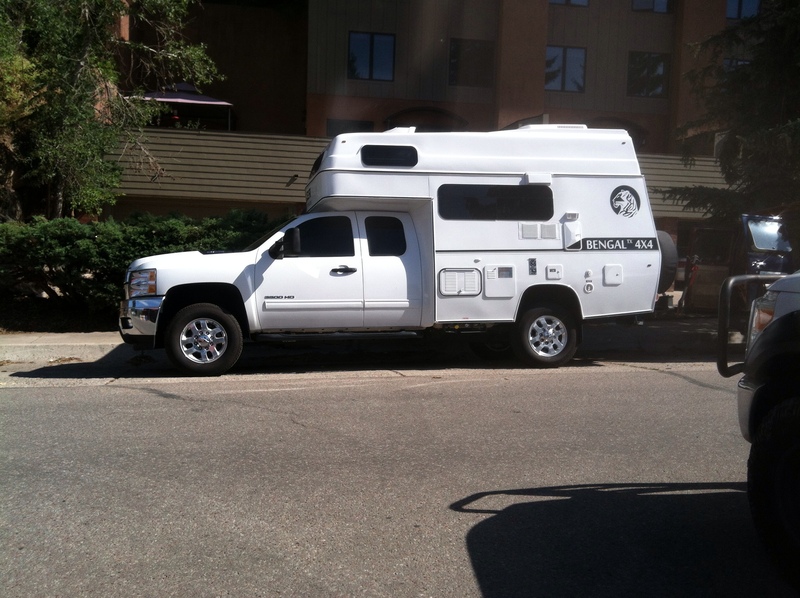 This entry was posted in Truck Camping Choices, Truck Camping Hints and tagged Bengal Tiger, truck camping alternative. Bookmark the permalink.